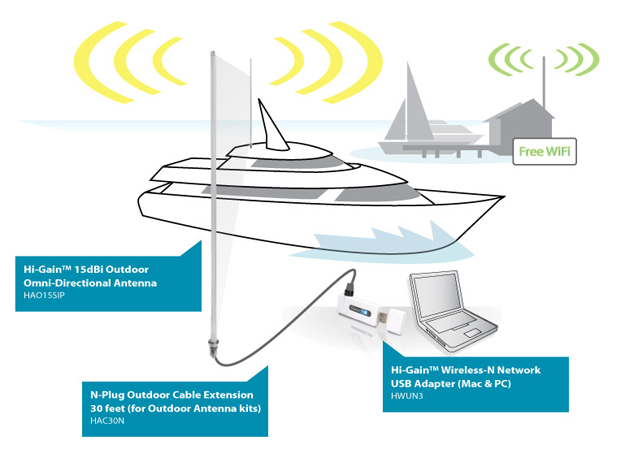 HAO9SIP Outdoor Wireless Antenna is one of Hawking’s Hi-Gain 24 series, 2.4 GHz Wireless Antenna Line. Hawking offers a complete solution for all your wireless signal boosting needs. 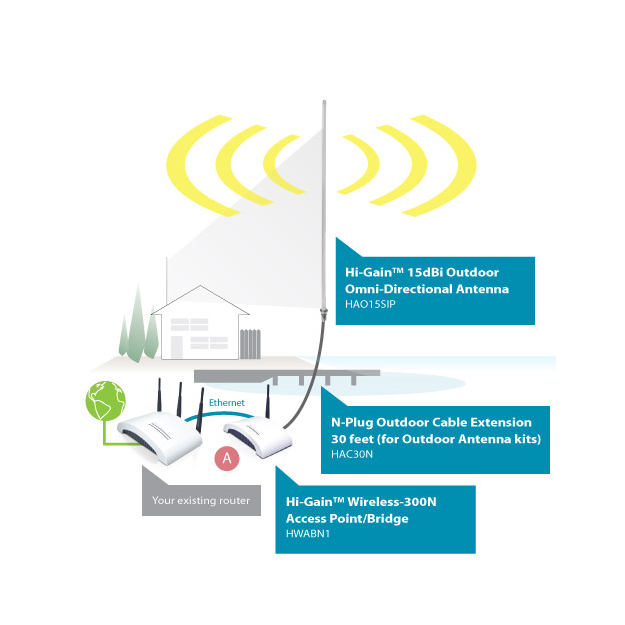 The Outdoor Antenna Kits provide wireless users with a high powered solution to extend their wireless network, whether extending the wireless network from one corporate building to another, or simply from the front house to the back house. 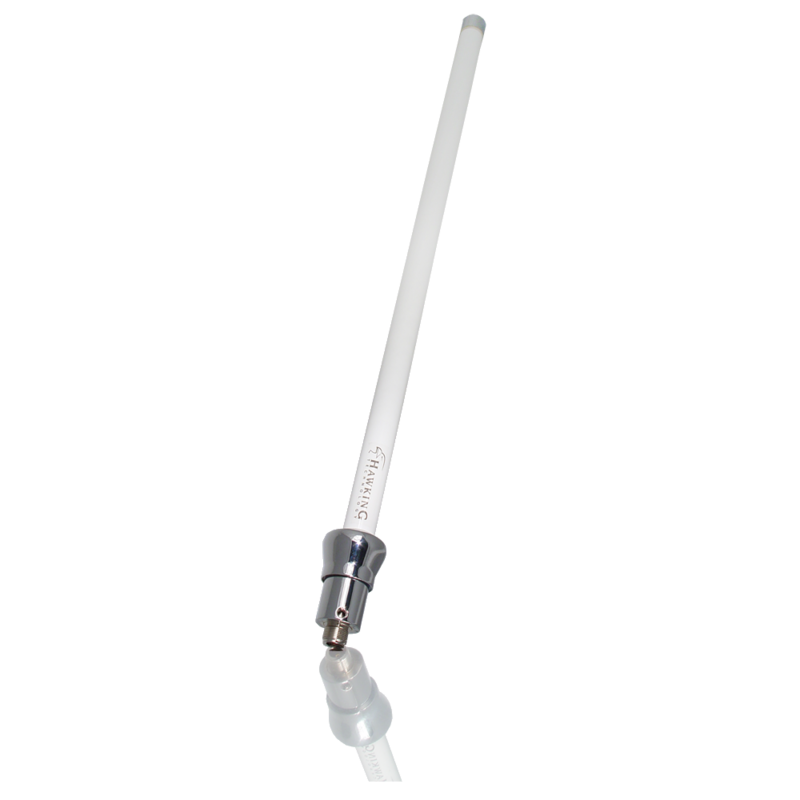 The Outdoor Omni-Directional Wireless Antenna emits a powerful amplified signal over a 360 degree radius, delivering a strong multi-directional signal from an Access Point or a Bridge. If you have multiple locations or buildings where you would like to integrate your wireless network, simply place the HAO9SIP Outdoor Wireless Antenna in between the buildings with your Access Point. It is most effective when placed at the top of buildings or in the center of large rooms. 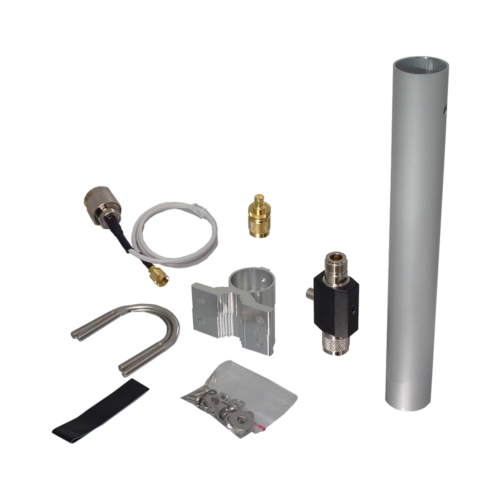 The HAO9SIP Outdoor Wifi Antenna also comes with a mounting kit, connectors, and a surge protector. 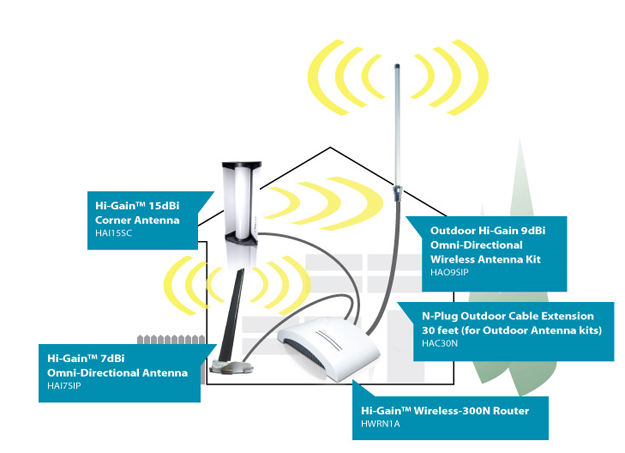 Hawking’s Hi-Gain Outdoor WiFi Antennas are designed to work with all Wireless Access Points, Wireless Routers and Wireless Network Adapters that have removable external antennas. Pairing the Outdoor WiFi Antenna with Hawking’s Wireless Devices is recommended, however, not required. The HAO9SIP is designed with the popular RP-SMA connector, which works with many major Wireless Brands. It also comes with the TNC jumper cable for wider range of compatibility. Simply unscrew your current antenna and screw on Hawking’s Hi-Gain antenna and you’re ready to go! Note: An outdoor low loss antenna cable (model number HAC10N, HAC20N, or HAC30N) is required for outdoor installation and must be purchased separately. Depending on your set up, a shorter cable is recommended for minimal signal degradation (cable loss) due to cable length. I’m not getting the range that I expect. Why is that? Our indoor antennas use the SMA antenna ports. We have adapters for TNC, MCX and MMX antenna ports. Our outdoor antennas use N-plug antenna ports. We have adapters for TNC and SMA. What kind of antenna connector does the HAO9SIP have? The HAO9SIP comes with a N-Female. It has an adapter for N-Male to RP-SMA Male. It also has a RP-SMA Female to RP-TNC Male connector. Does the HAO9SIP antenna support 802.11N?